President Donald Trump on Monday moved to replace NAFTA with the United States-Mexico Trade Agreement, calling it “much simpler, much better” than a trade deal he has criticized for years. Canada, Mexico and the United States implemented the North American Free Trade Agreement, known as NAFTA, in 1994. Mr. Trump has frequently attacked NAFTA and other multilateral trade deals, saying he favors one-on-one agreements with countries instead. Mexican President Enrique Peña Nieto joined Trump by speakerphone, saying through an interpreter that the deal “is something very positive for the United States and Mexico.” The negotiations were “difficult” at times, Peña Nieto said, but added that the new framework would boost productivity in North America. Trump called it “one of the largest trade deals ever made. Maybe the largest trade deal ever made.” But some critics have said it would be smaller than NAFTA, the trilateral deal Trump is seeking to terminate. Its proposed replacement raised questions about Canada’s place in the trade deal, and whether it would be left out of the pact going forward. How does the new deal compare to the original NAFTA? 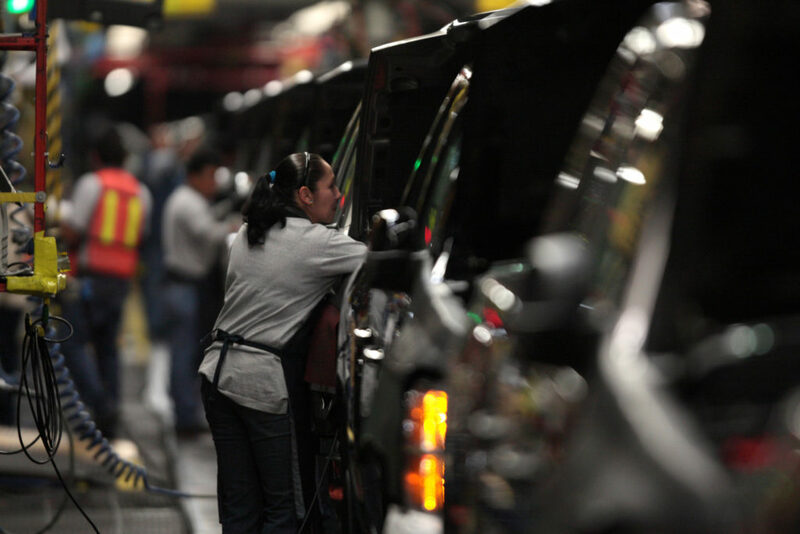 On automobiles: The new agreement would ensure that 75 percent of automobile manufacturing parts be made in the NAFTA region, up from the current 62.5 percent. It also would require 40 to 45 percent of auto workers make at least $16 per hour. On labor: The new deal updates rules on intellectual property rights and labor negotiations. 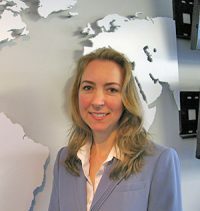 A sunset clause: The agreement is written to last for 16 years, but would allow the countries involved to revise or modernize aspects of the deal every six years. The pact would continue for another 16 years after it is revised. U.S. Trade Representative Robert Lighthizer told reporters on a conference call that the new agreement with Mexico “will lead to a rebalancing” and generate more jobs for American and Mexican workers. “I think we had a NAFTA agreement that had gotten seriously out of whack, that had led to large trade deficits and that needed updating,” Lighthizer said. Until a new deal is signed, the other terms of NAFTA — including the elements that allow U.S. companies to operate tariff-free in Mexico and Canada — remain in place. But Trump spoke of a possible separate agreement with Canada, or none at all. 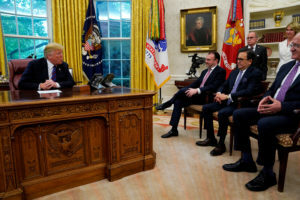 Canada is eager to get back to the negotiating table, but the White House is applying pressure with its “take it or leave it” stance, said Avery Shenfeld, the managing director and chief economist at the Canadian Imperial Bank of Commerce. “It’s quite clear that the White House wants Canada to feel the heat of a threatened auto tariff and is going to try to seek some visible concessions from Canada relative to what’s in the existing NAFTA deal,” he said. The sticking points include the U.S. proposing to sharply reduce Canada’s ability to bid on U.S. government contracts. The U.S. also doesn’t want to include a provision from the original NAFTA deal, called Chapter 19, which created an independent review process for resolving disputes when one country accuses another of subsidizing or “dumping” their goods. The White House is planning to submit a letter to Congress on Friday outlining the trade deal with Mexico — with or without Canada. Congress has 90 days to review it, with a signing anticipated for November. A senior administration official told reporters that negotiations with Canada would start Monday afternoon. But “it isn’t like Canada is coming in at the last minute,” another official said. “They know the issues, we talked about all these issues” during previous rounds of talks. Mexico and Canada so far have backed each other in ensuring a replacement trade deal is trilateral.